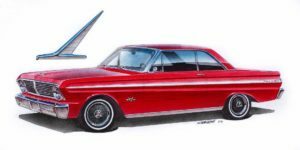 This was my project car design for the 1960 Falcon that I drove to college. The body retains a stock appearance, except for the wheel areas, which were inspired by European road racing. It would have a 5.0 and all-new suspension. 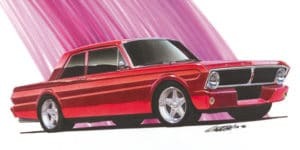 The wheels are based on a design for Weld Racing, one of my design clients at the time.